A Santé Fitness is a 9,000 square foot gym facility located on the shores of beautiful Lake Tahoe in downtown Tahoe City, California. We offer a wide variety of cardio equipment, free weights, selectorized equipment, group fitness classes, Pilates, personal training, locker rooms, showers, and a sauna. A Santé strives to provide a fun, safe, healthy environment for our members, guests and staff. Through the years we’ve held fast to our mission of helping people enrich and improve their lives through exercise. Lake Tahoe is a year-round mecca for outdoor recreation and we’re here to help you get Tahoe fit! All classes are FREE for members! 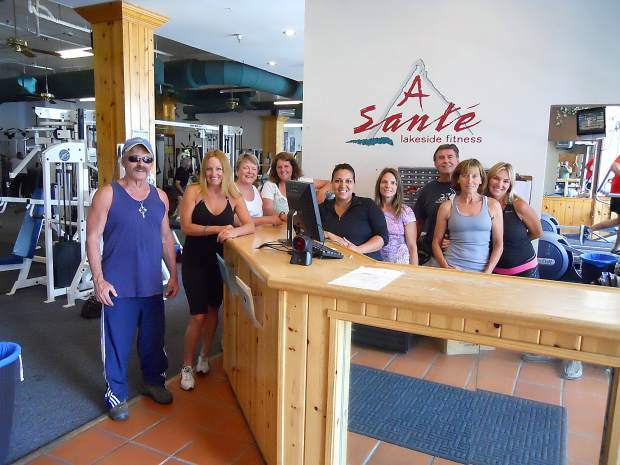 Come in, check out our facility and become a part of the A Santé Lakeside Fitness community.